How to “Sell” an Electric Car . . .
Electric cars are a great deal . . . when you get someone else to pay for them. This appears to be the only way to convince anyone to buy one. BMW recently offered a $54-per-month lease deal on the i3, its $44,450 (to start) electric car. BMW is literally paying people to take one off their hands – and for those who do, it’s one hell of a bargain. BMW is not the only company selling electric cars this way. They are all being sold this way. Every single one of them is a money-loser . . . for those making them. The problem, of course, is that you can’t stay in business for very long paying people to “buy” your stuff. Cue the infamously frank comment by Fiat’s head, Sergio Marchionne – who publicly urged people not to “buy” the electric version of the Fiat 500, which he admitted cost his company $14,000 per sale. 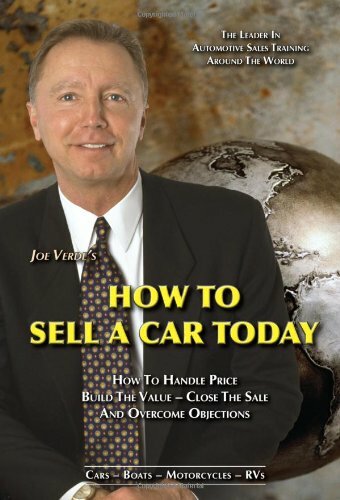 How To Sell A Car Today Joe Verde Best Price: $29.22 Buy New $80.00 (as of 03:30 EDT - Details) And yet, Fiat continues to make the 500e – just as BMW continues to make the i3. The market (and economics) be damned. The absurdity of this would be the subject of national laughter (and outrage, in the “environmental community”) if the car companies were paying people to take home $45,000 SUVs for $54 a month. Someone might raise their hand and ask why the car companies, in such a case, don’t just stop building SUVs they can’t get rid of without resorting to paying people to take them off their hands? Shareholders would gather pitchforks. Heads would roll. The usual rule has been: If a car doesn’t sell, you stop making it. The infamous Edsel comes to mind. More recently, the Pontiac Aztek. Imagine the belly laughs if GM refused to throw in the towel, despite obvious lack of interest in the dumpster-on-wheels and just kept on stamping them out – resorting to ever-more-pathetic “deals” in order to unload them. There would be calls for men in white outfits to visit the Renaissance Center in downtown Detroit – which is GM’s HQ. Take the people on the top floor away for a rest. Come along now. It’ll be all right . . .
Ford decided to stop selling the Taurus and other sedans because they weren’t selling. There’s no more Honda Crosstour, either. It is not, as the saying goes, rocket science.